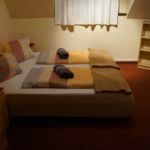 Rooms, services Gasthof Gesslbauer Steinhaus am Semmering is welcoming all guests in Steinhaus am Semmering with 18 comfortable rooms to stay in. With child-friendly services being available the pension is also suitable for children, and would be pleased to host all members of the family for your stay. The pension welcomes small pets for your stay, so you are also free to take your four-legged friend with you. You may taste delicious, fresh meals in the restaurant of the pension every day. If neccessary, you may leave your car at the parking place of the pension without paying any extras. The pension is offering wireless Internet connection (WiFi) without charging extra fees, so you may go online anytime with your laptop during your stay. 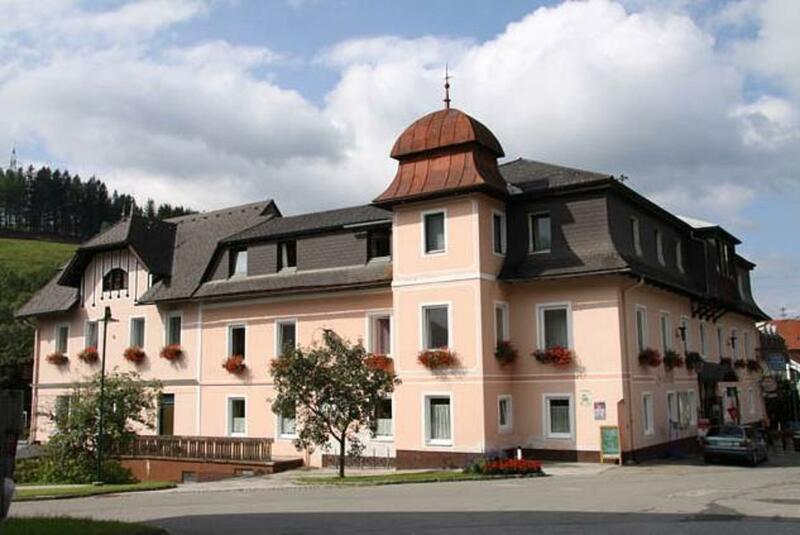 If you wish to learn more about the exact scope of services provided by Gasthof Gesslbauer Steinhaus am Semmering (including any available for an extra fee) or about the equipment of the rooms, you will find them on the information sheet below and on the information sheet of the selected room. Catering The indicated room prices do not include catering. When making your reservation, you will have the option to choose another type of catering. The pension is also offering the following: no boarding, breakfast, half board. Arrival, opening hours The earliest time of check-in is 14:00, the latest time of check-out is 10:00. The personnel is at your service in German language. 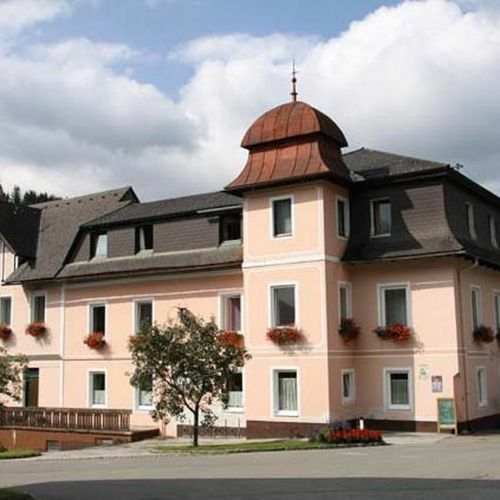 Reserve your accommodation and Gasthof Gesslbauer Steinhaus am Semmering will directly send the confirmation in 1 workday. Max. 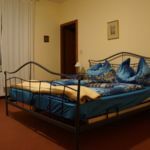 capacity: 5 persons: 4 adults and child(ren) under 15. 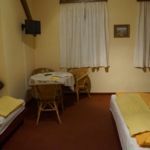 The rating of Gasthof Gesslbauer Steinhaus am Semmering is 7.9 from the maximum 10, 8 based on actual and valid guest ratings and reviews. "A szoba teljesen más volt, mint amilyen kép a szállás.hu-n fönt van. Rendkívül büdös volt a szobában, és a szag szellőztetés után is megmaradt. Nagyon régi padlószőnyeggel van a padló burkolva, ami láthatóan és érezhetően koszos és büdös volt. A függönyök is árasztották a kellemetlen szagot. A szobánk ablakánál haladtak el a vonatok, ami miatt nem igazán lehetett pihenni. Nagyon rossz élmény maradt bennünk a szállással kapcsolatosan." "Nem beszélnek más nyelven csak osztrákul, így nehezen értettük meg egymást (mi angolul beszéltünk). Szaunáról nem szóltak. Az ágy le volt szakadva (a matracot tartó ágyrács nem illeszkedett a fém keretbe így folyamatosan be esett). Este kevésbé fűtöttek, így a nedves ruhák nem mindig száradtak meg." "Vendégszeretőek voltak. Volt Wifi. Közel van a sípálya."